MURFREESBORO, TN — The City of Murfreesboro is home to some great African American History. If you ride down East State Street in Murfreesboro you will find situated on a corner lot the home of Scales & Sons Funeral Home founded in 1916 by Preston Scales. Scales and Sons Funeral Home is one of the first, African-American businesses in Rutherford County. 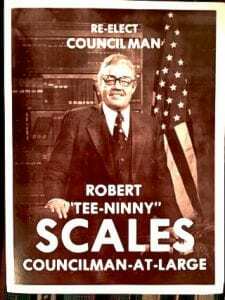 Robert Winston “T-90” (“Tee-Niny”) Scales, father of Madelyn Scales-Harris, was a civic leader, politician, and small business owner in Murfreesboro, Tennessee. He was the first African-American since reconstruction, to be elected to an at-large position in the entire Southern part of the United States. He was also the first African-American elected to the Murfreesboro (serving 21 years), and first African-American Vice-Mayor of that municipality (serving 8 years). 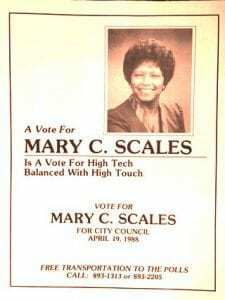 Mary Scales, his wife and mother of Madelyn Scales-Harris, was the first black faculty member at Middle Tennessee State University and similarly pioneering member of the City Council and the second African American to hold a Council seat for the City of Murfreesboro. She also served on the city of Murfreesboro School Board of Murfreesboro. Scales Elementary in Murfreesboro TN is named in honor of her parents, Robert and Mary Scales. The Scales legacy continues to thrive in the Murfreesboro SMSA as Madelyn Scales-Harris, their daughter, a graduate of MTSU follows in her parents footsteps. 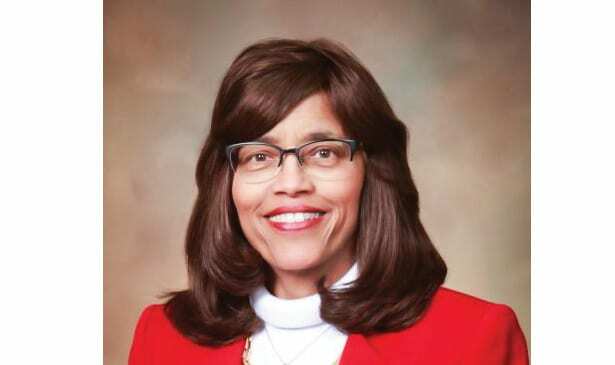 Madelyn Scales-Harris (elected to the Murfreesboro City Council in 2010 and re-elected in 2014) ran for city council 18 years after her mother . When first elected, Scales Harris sat on the very chair her mother used as a councilman and now Madelyn is the first African American Female vice mayor (her father was the first African American male vice mayor) . Her parents paved the way for her to continue the family tradition as a servant leader focused on advocating for the community. Madelyn Scales-Harris said her parents touched so many lives in the Murfreesboro SMSA and they believed in fighting for fairness, justice and equality. Madelyn Scales-Harris says she will continue the legacy of her parents, and contribute to the rich history of Rutherford County. Madelyn’s motto in life: You don’t get where you are by yourself and should never forget where you came from, because when you lose sight of your beginnings, you cease to be humble.